The world’s largest equestrian trade fair and exhibition — Equitana — is to make its debut in the US at the Kentucky Horse Park in the autumn of 2020. Officials from the park announced the inaugural Equitana USA at the latest renewal of Equitana in Germany, which ran over nine days in Essen earlier this month. Equitana USA will be held over three days in Kentucky, said Laura Prewitt, Executive Director of the Kentucky Horse Park. 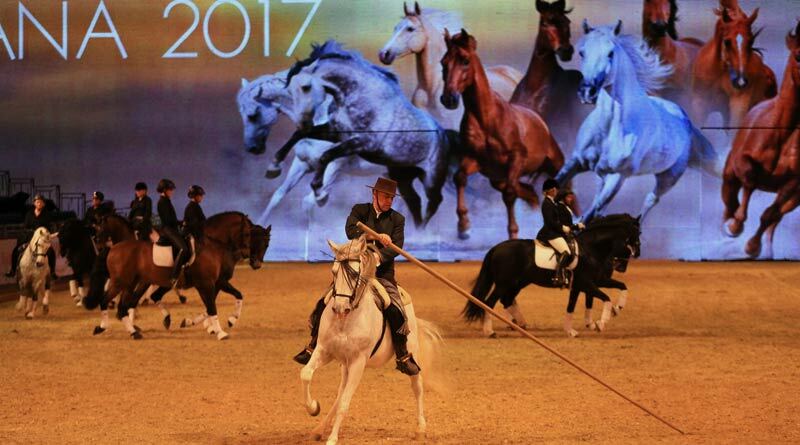 The event will be organised by Reed Exhibitions, the producer of Equitana in Germany, which attracts more than 200,000 visitors and is held every two years. Equitana USA invites all riding levels, disciplines, breeds, and enthusiasts of all ages to come together to celebrate the horse. A variety of popular equestrian personalities, professional equestrian performers, authors, veterinarians, and other top professionals will come together at the event to share their expertise on a wide range of disciplines and topics. The show is dedicated to being the forum that promotes the exchange of ideas, information, and experience, to enhance the horse, personal excellence, and to provide high standards of quality among those with a passion for horses. Each day will feature a trade fair with a variety of equestrian related products and services along with special performances each evening at the Alltech Arena. • Exhibitors and those wishing to attend are asked to register their interest. Super Excited, I’m going to save my pennies so that I can attend!